SW-MOTECH Aluminum Bash Plate  includes side protectors that wrap around the engine block to provide both bottom and side protection. 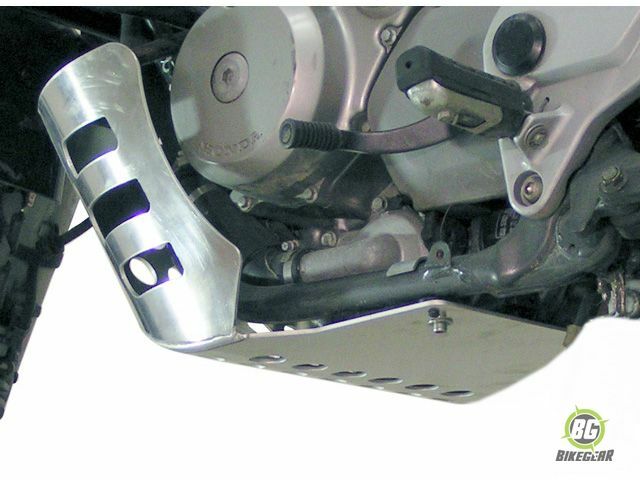 SW-MOTECH Aluminium Bash Plate Constructed of a 4 mm-thick aluminium base plate and 3 mm-thick side plates for heavy-duty, light-weight protection. Where the base plates and side plates overlap, it forms a riveted 7 mm-thick rail for extra rigidity. 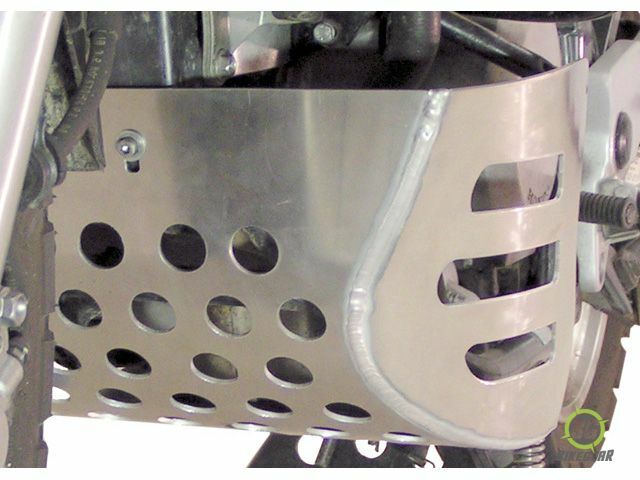 Base plate includes side protectors that wrap around the engine block to provide both bottom and side protection. Efficient underbody protection against stone-chipping and collision. Made of 3 mm aluminium plate. Please note that it is difficult to mount. Needs to be modulated to the motorcycle.